Back to school is almost here and you know what that means? Shopping, stress, and running around like mad people to get things done before the first day. 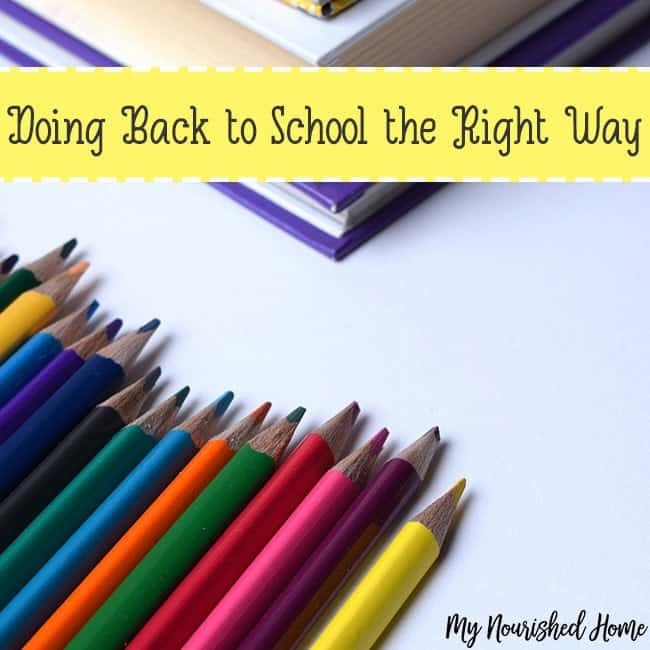 Maybe it’s not that bad, but with three kids, back to school is a costly endeavor. 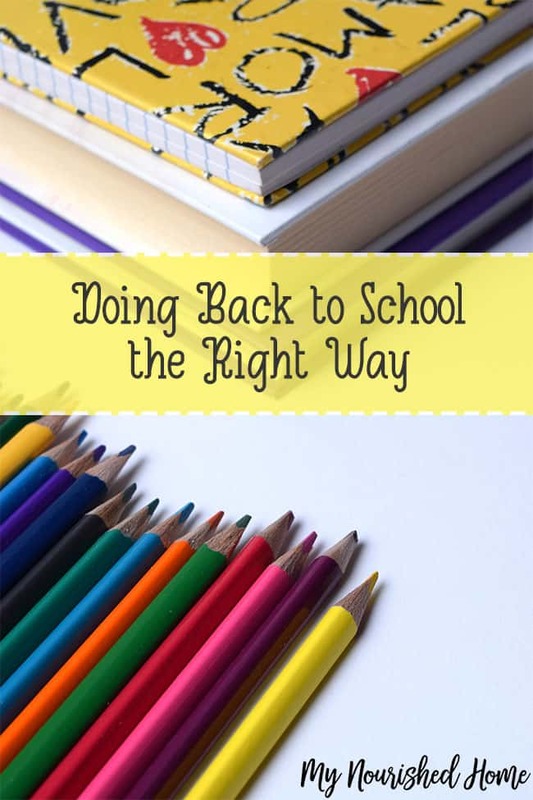 This year, I’m determined to do back to school the right way and hopefully cut down on some of the chaos that normally comes with it. Here’s my plan. My plan is to start shopping now – like as soon as I’m done writing this article, I’m out the door and heading to the office supply store to stock up on their glue stick sale. I’ve found that when I start early, it cuts down on the chaos of collecting school supplies. There are also some good sales that happen earlier in the back to school shopping season that are worth taking advantage of. My daughter reminded me that there’s also a better selection of merchandise early on too. That’s important if you have to have a particular type of folder in a specific color – and, yes, that’s usually a real requirement. Mom confession – I’ve not always been good about setting spending limits for back to school supplies. I want the girls to have everything they need and start the year off right. Sometimes they get carried away when making their “must have” list. Sometimes I get carried away by buying it. That being said, there are some things that they don’t need to have right away. A new winter coat? That can wait until October. 30 boxes of 24 crayons? Probably a bit of an excess. So, this year, I’m setting a firm limit as to how much I’ll be spending on supplies for each child. I’m also letting the kids know because it should be a great lesson on budgeting and wants vs. needs. As much as I set individual limits this year, there are some supplies that we use every year. I keep a secret stash in my office of packs of paper, pencils, pens, erasers – and let’s not forget poster board. Because we all know there will be a last minute project that comes up at least quarterly that requires poster board. There is nothing more frustrating than the 8 pm reminder that a child is out of the super special required paper for math class. And they need it tomorrow. So I learned early on to keep a stash in my home office. So when it is taken out of my office, I know about it and I know to replenish the stock pile. It has all but eliminated the late night runs to buy supplies. All the back to school sales are a great time for me to grab what I will keep under guard in my office. You know how there are about 9 million papers that come home that first week of school that need to be filled out, signed in blood, and returned with a notarized signature? Okay, maybe that’s a slight exaggeration, but the struggle to get all of those forms filled out is real. This year, my husband and I have already declared it as “Form & Wine Week”. We’ll be tackling that mound of paperwork together over a glass or two of wine and sharing the fun of filling things out in triplicate. Yes, yes, we do know how to have a good time. As soon as all those forms are filled out, we’re throwing a Back to School Party! If that means that we don’t volunteer for the Bake Sale or to run the Fall Fundraiser, so that we can spend time talking around the dinner table and enjoying being together, then that’s what it means. With my oldest in her senior year of high school this year, our family time is going to be even more precious. This back to school season, I’m putting our family’s needs first. From our financial needs to our time commitments, this year it’s all about perspective and trying to cut down on the craziness that often comes with the beginning of the new year. Wish me luck!